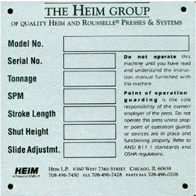 As the original equipment manufacturer (OEM) of Heim and Rousselle presses we carry one of the largest inventories of replacement parts in our industry. We understand the sense of urgency when your press is out of operation. For this reason we are committed to providing you the replacement part you need as quickly as possible. We are #1 in meeting customer expectations in delivery of replacement parts. 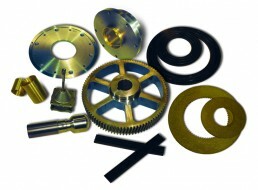 We are able to provide the part you need within 24 hours.